There is an old Doonesbury cartoon in which Mr. Butts, the anthropomorphic apologist for the tobacco industry is testifying before Congress. 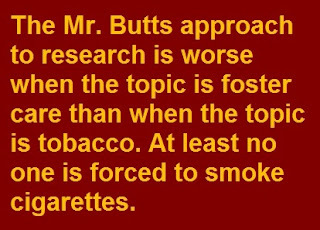 I thought of Mr. Butts as I read a column by Naomi Schaefer Riley in which she tries to persuade us that, when it comes to whether it is harmful to tear a child away from everyone he knows and loves and consign him to foster care – well, the jury is still out. African-Americans have full legal rights. Hate crimes are anomalies. Black people are running corporations, universities and until recently the White House. So who could possibly be a better judge of whether children in foster care – children who are overwhelmingly poor and disproportionately nonwhite – are harmed by being there? Riley is upset by the notion of a “foster care to prison pipeline” – that is, the idea that if a child is placed in foster care the harm of that experience makes it more likely that the child will wind up in jail. She seems even more upset by the notion that racial bias might contribute to the needless removal of children - after all, racism is over, remember? Riley doesn’t deny that former foster children are overrepresented in our prisons. 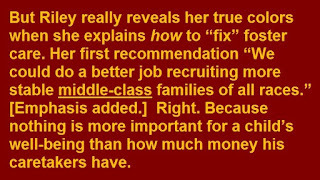 She does not deny – but also doesn’t mention – a whole slew of other rotten outcomes for a shocking number of children who endure foster care, such as their high rates of unemployment, food insecurity and homelessness, and their extremely low rate of college graduation. Rather she falls back on the classic excuse of America’s foster care-industrial complex: Hey, it’s not our fault; those kids were all messed up by their no-good parents before we ever got 'em. What do you expect us to do, actually make things better? There are two problems with this claim. First, not all children placed in foster care came from “abusive and/or neglectful homes.” Many came from homes that were simply poor. And second, the claim that we can’t separate the effect of the children’s circumstances before foster care to the effect of foster care itself is simply not true. We can. And we have. MIT Prof. Joseph Doyle did a direct head-to-head comparison of outcomes in typical child welfare cases. He looked at records of more than 15,000 children, followed them all the way into their late teen years and, in some cases, young adulthood. He compared children placed in foster care to comparably-maltreated children left in their own homes. He focused on the typical cases, not the extremes. Most important, he didn’t simply make a subjective assessment of the youths, or rely on the subjective assessments of others. Rather, he looked at what actually happened to them. ● Less likely to hold a job for at least three years. ● More likely to become pregnant as teenagers. ● More likely to be involved in the juvenile justice system. ● More likely to be arrested as young adults. And, by the way, these studies are not alone. A third study, from researchers at the University of Minnesota, using different methodology and outcome measures also found that children placed in foster care fared worse than comparably-maltreated children left in their own homes. So yes, Naomi, there is a foster care to prison pipeline – and a whole lot of other harm, too. prior research provides little insight into the direct effects of foster care placement on children: the few studies designed to isolate the effect of foster care placement haven’t reached a consensus regarding its impact on children. The MIT studies followed children well into adolescence and beyond, and looked at what actually happened to the children. The University of Wisconsin study followed children for an average of only two-and-a-half years, measured only two outcomes and, for one of those outcomes – the extent of the children’s behavioral problems - relied on questionnaires filled out by the children’s current caretakers. Obviously that’s a far more subjective method than the method used for the MIT studies – seeing what actually happened to the youth. Compounding the problem: Berger and his co-authors admit that when these sorts of questionnaires are filled out by different people at different times, it “may be problematic.” No kidding. In fact, alleged “differences” in behavior may simply mean differing perceptions by the people filling out the questionnaires. They fail to acknowledge still another problem: Foster parents were asked to fill out a questionnaire assessing the children’s behavior while in their foster homes. In effect, they’re being asked how well they are doing as foster parents. No chance of bias there! Berger & Co. then use several different “analytic models” to compare the two outcomes, including the subjective evaluations of behavior for the foster children and the subjective evaluations of behavior for the children left in their own homes. They argue that the model that produced the results most favorable to foster care is the least biased. But even this method for calculating results from this one study did not find that foster care made things any better for the children. The best Berger and Co. could say is that, using some of the models they applied to a partially subjective evaluation of only two outcomes, the foster children didn’t do any worse than the children left in their own homes. 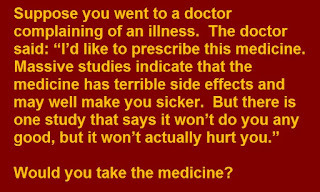 Would you take the medicine? Of course, it’s worse for foster children. They have no choice. 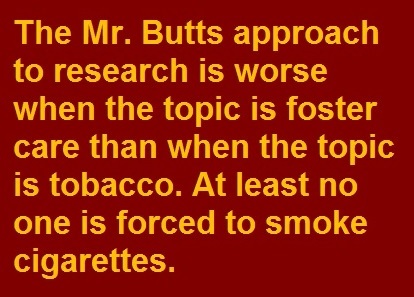 Similarly, the Mr. Butts approach to research is worse when the topic is foster care than when the topic is tobacco. 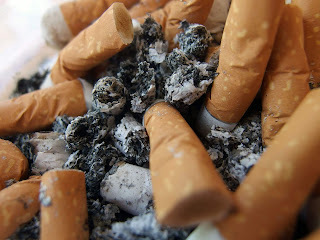 At least no one is forced to smoke cigarettes. 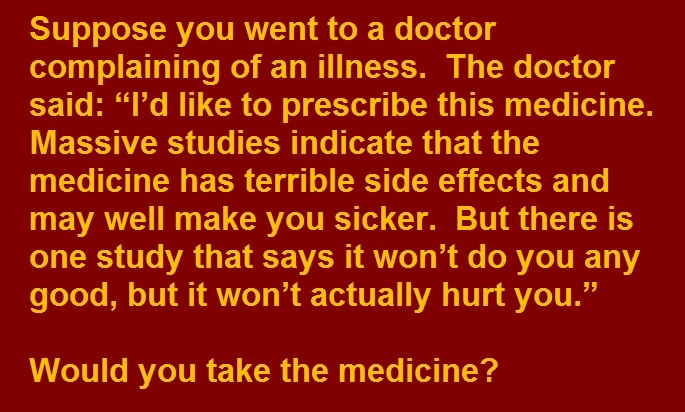 To which the proper scientific response is: So what? For starters, many parents who lose children to foster care have not been arrested. Others have been arrested for the same basic reason their kids were taken: they are poor and nonwhite. And being arrested does not preclude being a good parent – something that is apparently beyond the ability of some academicians to understand. And here, again, the evidence is in. Multiple studies have found that kinship care typically is better for children’s well-being, more stable, and, most important, safer than what should properly be called stranger care. A wealth of evidence illustrates the benefits of kin-based care relative to other placement types and shows that existing social networks play a critical role in supporting children’s wellbeing. For some reason, Riley doesn’t mention that part of the article. Well yes, we could make foster care better. But not by much. Here again that pesky research gets in the way. One of the many, many studies documenting the horrible outcomes for foster children found that only 20 percent of the children studied were doing well as young adults. But this same study also attempted something else: It came up with a formula to estimate how much better the outcomes would be if somehow everything wrong with foster care were fixed and the system were perfect. The answer: The outcomes would improve by 22.2 percent. So if foster care were made perfect, it would churn out walking wounded only three times out of five instead of four. That’s well worth trying. But the real lesson from that study, and all the others, is that foster care is fundamentally unfixable. Right. Because nothing is more important for a child’s well-being than how much money his caretakers have. None of this means that no child ever should be placed in foster care. There are times when parents really are horrible and children really need to be saved from those parents. There are times when foster care clearly is the least bad option. Not a good option, but the least detrimental alternative. As so often happens when foster-care apologists try to defend the system, they put the burden of proof in the wrong place. Long ago, when I was just starting out as a reporter, it was actually the head of an adoption agency who said something I've never forgotten: "The burden of proof should always rest with those who believe children don't belong in their families." Yet Riley suggests the fact that there exists a study showing that foster care does not make things worse is reason enough to keep right on throwing children into the system – and failing to hold the system accountable for what happens to those children. When will we finally demand that the foster-care apologists prove that their intervention is actually better for children in typical child welfare cases?